More than only document management, DocuWare empowers your company with powerful business process and workflow automation. With knowledge workers free from manual tasks, you can optimize core processes that drive productivity and profit. Learn more about business process automation. For when document storage and retrieval isn’t enough. The Virtual Document Center (VDC), powered by Ikan Software, brings powerful features together in one platform. Document scanning and capture, document classification and indexing, and document storage and retrieval. All from your web browser. Experience data analytics powered by location. Unleash the potential of your GIS data with Esri’s ArcGIS. The world doesn’t stand still; neither should your GIS system. ArcGIS provides real-time GIS data collection & management, imagery & remote sensing, spatial analytics, and 3D GIS. Metegrity is a globally trusted provider of comprehensive quality & asset integrity management software solutions, protecting more than $550 billion in assets across 850 facilities worldwide. Synergi Pipeline software enables safe and efficient pipeline operations, documents risk, tracks regulatory compliance and gives a clear overview of the integrity of offshore and onshore pipelines and gas distribution network components. 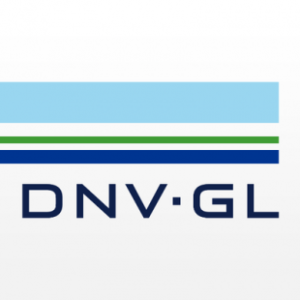 Synergi Plant is part of DNV GL’s asset performance management (APM) offering. It empowers companies to capture, integrate and visualize data, which can be further integrated with analytical tools such as reliability-centered maintenance (RCM), risk-based inspection (RBI), performance forecasting (RAM analysis) and safety integrity level (SIL) with the clear objective of improving the reliability and availability of assets. DNV GL’s APM offering also includes Maros and Taro for RAM analysis. copyright © doc2e‑file, inc. | all rights reserved.